But in the early 20th century, residents began to neglect the river and its surrounding floodplain as Milwaukee and its metropolitan areas grew. This resulted in increased sediment and runoff from streets and construction. Soil erosion from construction and dumping of sewage harmed water quality and destroyed fish and wildlife habitat. By the 1990s, many people had stopped using the river for recreation due to the decline in water quality. Still, champions who valued the river's worth as a natural asset and a vital connection between nature and the city rallied to bring the Milwaukee River back to health. River Revitalization Foundation, now celebrating its 25th year, is the lead organization in the Milwaukee River Greenway Coalition, a group dedicated to protecting the ecological and recreational value of over 800 acres of greenspace along six miles of river. RRF and its partners created a Greenway Master Plan with much public input and is using the goals set forth in the plan to make the vision in the plan a reality. They are creating a unique urban wilderness with the river as its focal point, featuring restored natural communities and shared recreational opportunities. Beyond preserving the existing forested and undeveloped land in the river valley, RRF is working to transform an old rail line into a multi-use paved path, demolish abandoned buildings, install pollinator gardens, create boat launches and parks, and more. 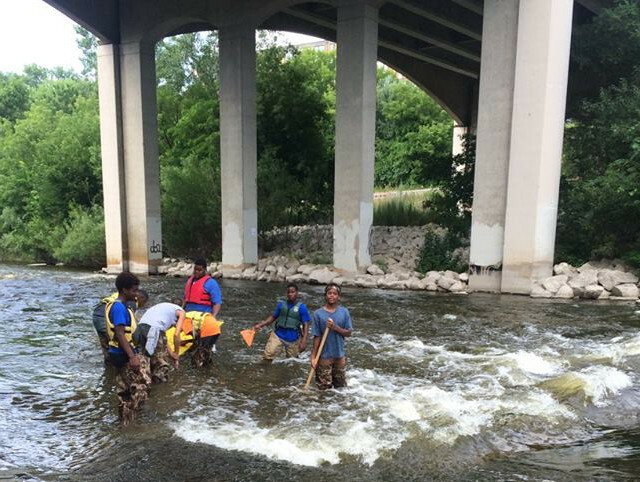 Led by a small staff, RRF is getting critical work done to improve water quality and help re-connect the people of Milwaukee to their river.